PRIME REAL ESTATE SIX LANE HIGHWAY W/ A TRAFFIC LIGHT, CURRENT TRAFFIC COUNT IS 23,200 & WILL BE 33,000. OWNER FIN AVAIL, LEASE AVAIL. NOW IS YOUR CHANCE TO OWN PROPERTY ON THE CORNER OF HWY 92 & CAVE SPRINGS ROAD +/- 5.08 acres. 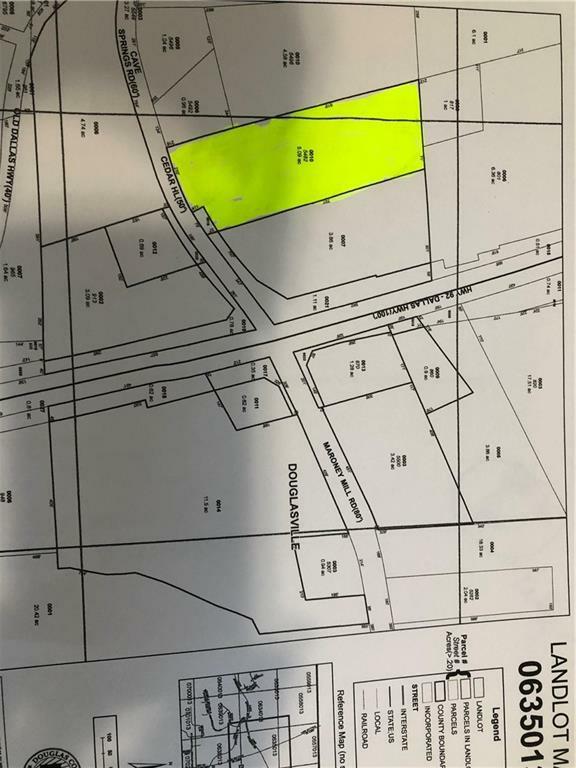 CURRENTLY ZONED AGRICULTURAL/RESIDENTIAL, CAN BE REZONED TO COMMERCIAL. REDEVELOPMENT PROJECT W/ THE EXPANSION OF HWY92 WILL MAKE THIS A GREAT RESIDENTIAL/COMMERCIAL PROPERTY.COULD BE RE-DEVELOPED TO MEET THE NEEDS OF A DEVELOPER; SUCH AS SHOPPING STRIP, FAST FOOD,RETAIL STORE,GAS STATION, CAR SALES LOT, RESIDENTIAL, POSSIBILITIES ARE ENDLESS.